A neighbour a few years ago gave me some seeds from his prolific mandarin 'cropper'. I DID have some success germinating the seeds, which made me exceedingly happy, unfortunately there was an extended period away from home and the mandarins (along with a lot of other propagated material) suffered their demise. 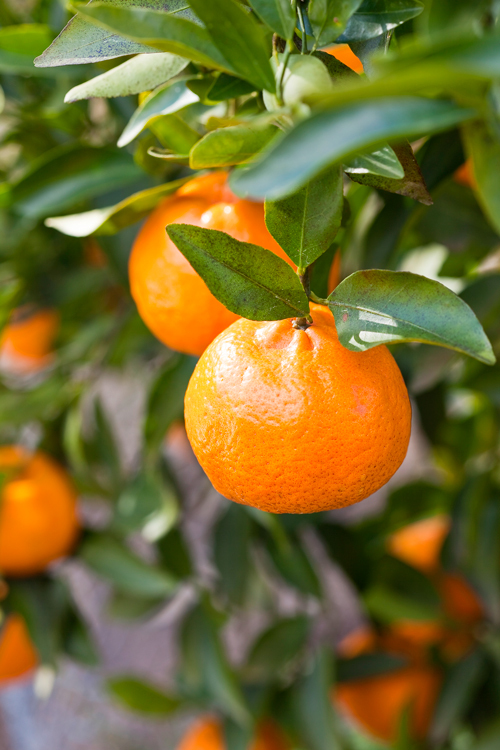 Mandarin trees grow very easily from seed (as evidenced by my own experience), patience is required as the seed-grown tree can take several years to be large and mature enough to produce any fruit. It has to be said though, that not every type of mandarin comes true from seed but the Emperor variety is one that does and crops (relatively speaking) quite quickly. Most citrus, including mandarins are usually grafted or bud grafted (the process connecting the cambion of the scion [the graft] to the cambion of the rootstock) on to two year old rootstock. These plants should be fruiting within two years of purchase. 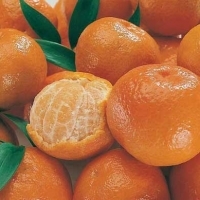 If you have a mandarin that is particularly tasty, juicy and large this might be an excellent start to your own mandarin tree. Firstly gently wash the seed clean, allowing it to dry and then sow into seed raising mix. They can be sown into a small 10cm pot with one seed per pot. Moisten the mix before sowing and gently push the seed about 5mm deep and gently cover it over. After sowing, water the pot gently. There should be enough nutrient within the seed for it to germinate so there is no need to fertilise now. Keep the pots in a warm position in a well-lit spot but out of direct sunlight. Mist the seed-raising mix so it doesn't dry out. Germination will normally take around seven to ten days. Once you see any emerging growth fertilise with a seaweed solution so the plant will establish strong cell structure. Once the seedling is around 5cm high, start a regime of a weak liquid plant food applied every 14 days or so. Once it shows signs of healthy growth, the pot can be gradually moved to a more open position. Snails and slugs will relish the delicate new growth so protect your plants with some snail bait. Check the leaves for other pests including aphids and caterpillars - you can easily squish these. When the seedlings are about 10-15cm high with a well-developed root system it is ready to go into a larger container - around 15cm diameter, with fresh potting mix. Continue to repot into larger containers as the plant grows and its roots begin to fill each new pot. Plant out in the garden after about two year's growth - or when the plant is around 30cm high or more. Seed germinated mandarins may take from four to seven years to flower and fruit. Young trees with weak branches should be discouraged from fruiting by removing all the flowers and tiny fruit. Flowering occurs in spring with fruit forming in summer and ripening in early autumn. Strangely enough I have never revisited growing a mandarin from seed again as it was felt that the time involved might actually preclude me from enjoying any of its fruit!